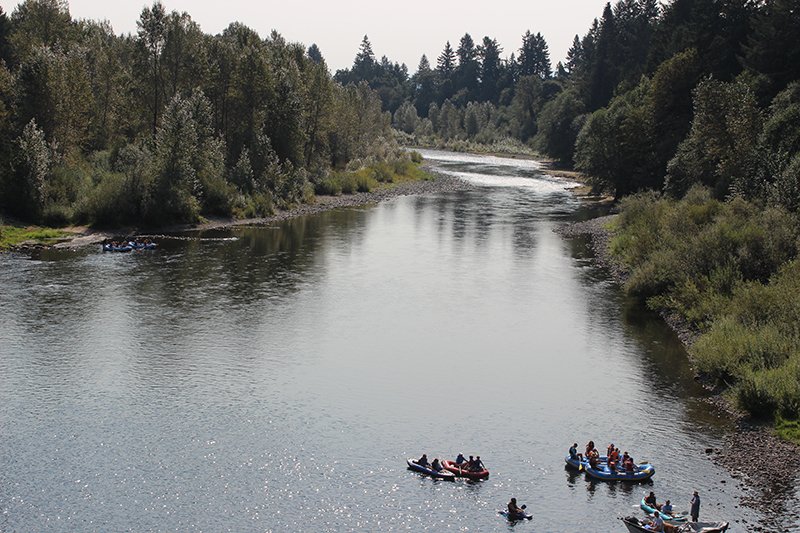 The Clackamas River provides drinking water for 300,000 people, recreation for thousands, and safe harbor for endangered fish to spawn, rear and migrate. The Clackamas Basin Pesticide Stewardship Partnership (Clackamas PSP) is a voluntary, collaborative process to protect the river and its tributaries. Local and state organizations offer water quality monitoring, resources and training for landowners and managers to enable more efficient and effective pesticide use that reduces drift and runoff. Monitor water quality to identify pesticides of concern (approaching or above unsafe levels, or found at high frequencies). Share and explain water quality monitoring results with those who are interested in protecting the quality of local streams and rivers. Engage pesticide users and technical assistance providers to identify and implement voluntary solutions to reduce pesticide drift, runoff, and waste. Use long-term water quality monitoring to measure success in reducing pesticides of concern and evaluate the effectiveness of strategies. 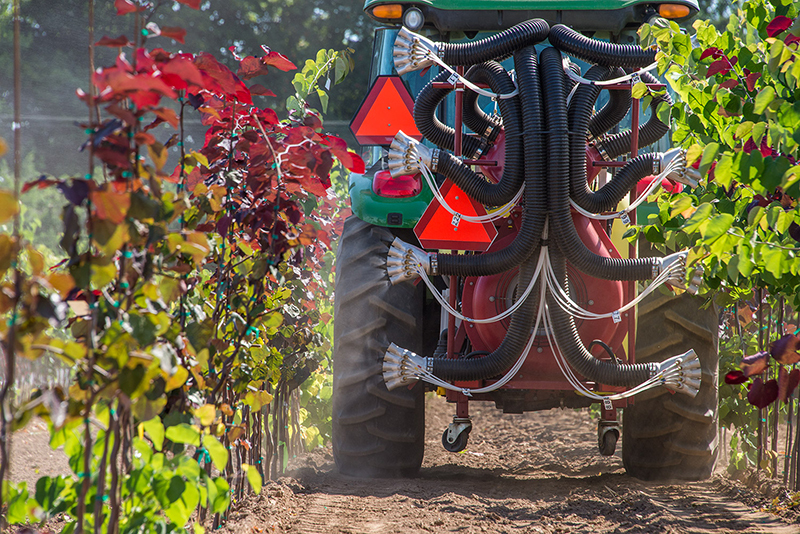 Sprayer calibration and smart sprayer technology dramatically reduces off-target pesticide loss. Healthy drinking water. 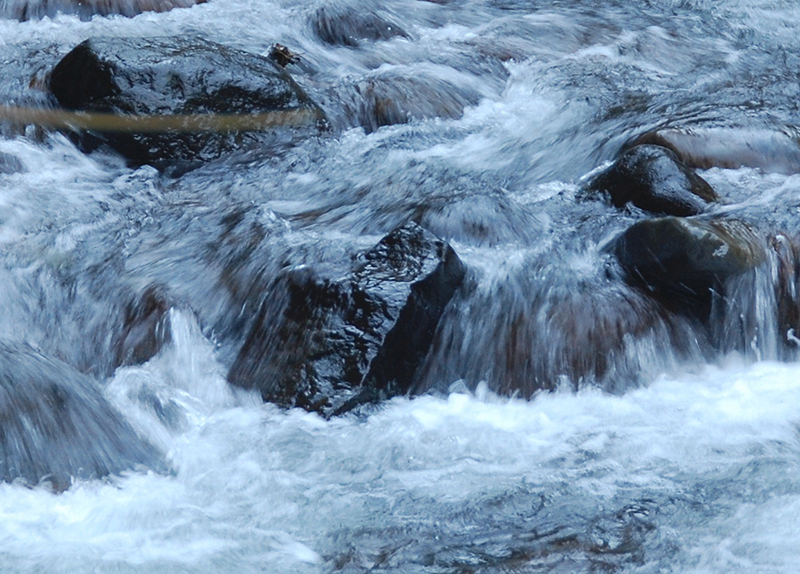 Clean rivers. Native salmon. Abundant wildlife. Safe fish to eat. More efficient operations. Money saved through waste reduction. Reduced risk of regulation, environmental clean-ups, and negative health effects. Community-based knowledge, not “one-size-fits-all” fixes. Integrated pest management principles ensure efficient, appropriate use of pesticides. Preventing pests, using pesticides only when necessary, and using the least pest control chemicals to be effective help prevent off-target movement of pesticides where they are not useful and can be harmful. In the Hood River, the Dalles, and Walla Walla watersheds, collaborative partnerships reduced concentrations of pesticides and herbicides of concern in local streams by 90 %. Oregon’s Pesticide Stewardship Partnerships (PSPs) began in the Hood River basin and have expanded to seven watersheds in the Willamette and Columbia River Basins. Partners have included local landowners, grower groups, watershed councils, soil and water conservation districts, water provides, Department of Environmental Quality, Oregon Department of Agriculture, Oregon State University, tribes, Oregon Environmental Council, and several other nonprofit organizations. Providing technical resources and water testing to local experts, these partnerships have resulted in locally led initiatives that improve pest management efficiency and create measurable environmental improvements. The Clackamas Pesticide Stewardship Partnership 2015-2017 biennial summary outlines pesticide reduction activities in the Clackamas River Watershed. Updated Summary for the Clackamas Pesticide Stewardship Partnership, August 2015. We are all part of the solution – Join us!